More so than in any other genre, there seems to be one horror movie every year that hits that very small sweet spot between indie obscurity and mainstream appeal to rise above its competition as a sort of “it” movie that every horror fan just needs to see to be part of the zeitgeist. 2014 saw It Follows, 2015 had The Witch, in 2016 it was Train to Busan, and last year everybody was raving about Get Out. This year, it felt like John Krasinski’s A Quiet Place was a shoe-in for the 2018 title, and while that film has certainly seen a great deal of success critically and commercially, it appears that the hype might have shifted a bit in the last few weeks to another first time writer/director’s passion project, Ari Aster’s Hereditary. Its a supernatural thriller heavy on spooky imagery and atmosphere that’s being called the scariest film in years, with some critics even comparing it to the Exorcist and the Shining, but hype be damned, at the risk of sounding like an Armand White-style contrarian, it is easily one of the worst movies I’ve seen all year, if not the absolute worst. And keep in mind, this was the year A Wrinkle In Time came out. 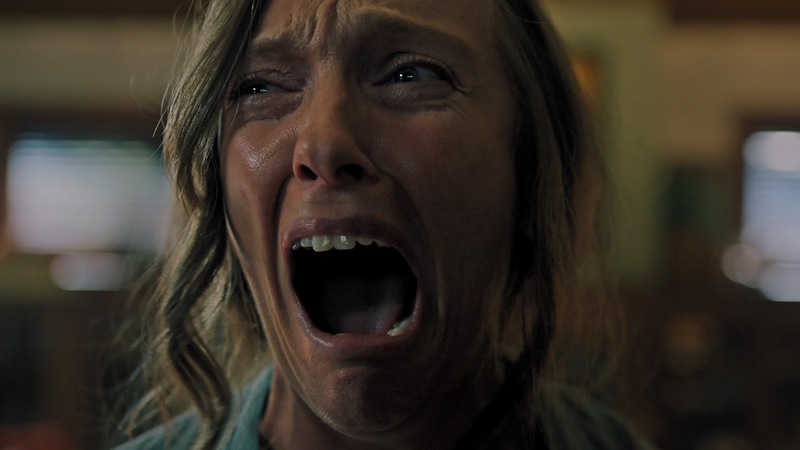 Hereditary follows a family steeped in dysfunction and tragedy, struggling to maintain after the loss of their estranged grandmother sets off a chain of increasingly inexplicable events that leads their emotionally unstable matriarch to believe that a force of poorly defined otherworldly evil has begun to target them all. I understand that this description is both needlessly obtuse and a bit snarky, but you’ll have to forgive me some artistic license here, as I have to take some opportunity to entertain myself, since the movie itself provided me no such opportunity during its punishing run-time. 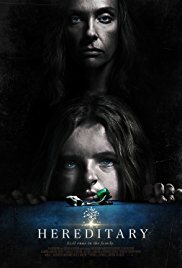 The essential problem with Hereditary is one that tends to befall a lot of lower budget horror movies that shoot for the kind of indie street cred to set them apart from the typical Blumhouse schlock, becoming so preoccupied with engineering specific moments with iconic memorable imagery and cultivating an eerie tone and mood to connect them, that it forgets to actually tell an interesting story, or populate it with characters we as an audience might actually care about. If you watched the trailers, you might have commended the marketing team behind Hereditary for managing to keep so much of the plot mysterious when so many other trailers seem to shamelessly contain spoilers. As it turns out, this wasn’t a deliberate strategy, so much as it was a necessity, as there really isn’t much plot that they could have spoiled if they wanted to. Yes, technically things do happen in the movie. There is a basic progression of events from one scene to another that one could for lack of a better term call a plot, but once you get to the end of it, you realize that none of it ever really mattered from a narrative perspective. Some scary stuff happens, some more scary stuff happens, and then some other scary stuff happens, and while your milage may very on whether any individual jump scare or creepy image effects you out of context, there isn’t really a context to put them in. They are effectively arbitrary and interchangeable. For the most part you could shuffle the majority of these scenes around in any order without any bearing on the story, to the extent that there even is a story to have any bearing on. Various specific elements have the obvious potential to be interesting, but because nothing in the movie comes together into anything resembling cohesion, all they amount to is a pile of missed opportunities. Toni Collette’s character spends her days working on miniature tableaus depicting mundane scenes of daily life that gradually morph into macabre depictions of her own tragic present, her daughter spends her time making creepy dolls out of found objects and dead animals, and once a seance goes horribly wrong, the whole family is haunted by ghosts, or maybe demons, or maybe witches, or maybe it never matters and was never supposed to matter because nobody cared if it did. In the end there are no pay offs to any of these puzzle pieces that the filmmakers play around with just long enough to distract you from the fact that they all came from different puzzle sets, and they had no intention of ever trying to piece them together, for fear that we might actually figure out that they never fit together in the first place. At one point in the second act (the three act structure only barely applying to this mess), Toni Collette’s character has experienced enough of an escalating series of haunted nonsense to actually want to figure out what might be going on. In order to do this, she just happens to suddenly remember a random box of books that she found in her mother’s house, thinks for no apparent reason that it might have the answer, and proceeds to leaf through a random book to a random page, which just so happens to literally have a highlighted section plainly and explicitly detailing everything that’s happening! I won’t spoil the specifics of the revelation, but suffice it to say its nothing special, and I’m pretty sure its ripped whole cloth from one of the paranormal activity sequels. And if that weren't enough, when we get to the end of the movie, just in case you missed the oh so cinematic book reading sequence, the last few seconds close out with what passes for the film’s villain flat out just telling one of the remaining characters what just happened to them, even though at this point they should already completely understand everything, just in case anyone in the audience didn’t. And if that weren’t enough, this final bit of expository dialogue that basically reiterates the highlighted text seen earlier is delivered without ever seeing the speaker’s face, in what was obviously a bit of last minute ADR, most likely insisted upon by a producer who went to the bathroom during the crucial moment in act two. So where does the hype come from? Why does ironically enough everyone and their mother say this is the scariest movie of the year and the second coming of Rosemary's Baby? You know, while I hate to question the integrity or motives of people simply for expressing opinions contrary to my own, I can't help but think that a lot of the people who came away from Hereditary with a positive attitude might have been a bit tricked. I've noticed a pattern in the reviews I've read where elements of the movie are cited in a very specific way, referencing disconnected moments and a general feeling that creeped them out, while almost never addressing the larger problems in storytelling that should be obvious to anyone paying close enough attention to have any strong opinion about the film one way or the other. 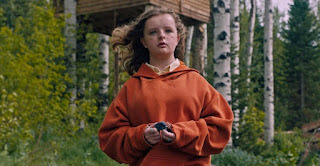 The thing is, the aspects of Hereditary that are done right are all the things designed to enhance and articulate a good story, visuals, atmosphere, performance, and so on, without the underlying story itself pulling any weight. Of course when you put people like Toni Collette and Gabriel Byrne in a movie together, its going to be entertaining, but there's only so far they can try to elevate material that simply isn't there. 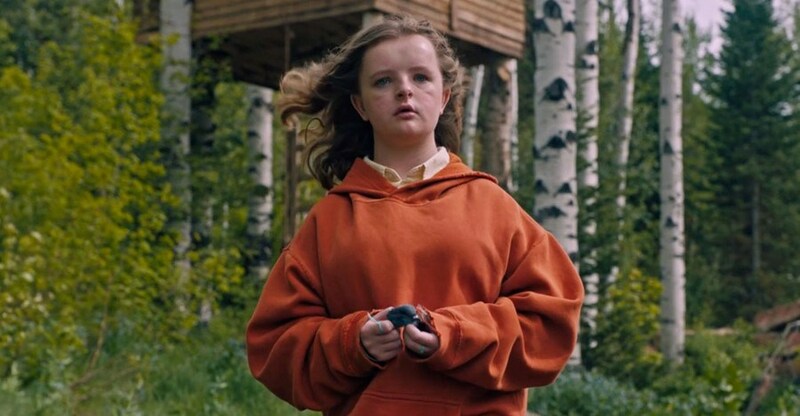 Hereditary is a movie made of a bunch of essentially random scenes strung together to make you think you're watching a movie when you're not, and if all you care about is those scenes and how they make you feel on a visceral level, and you don't care about having a story, than you probably wouldn't have any problem with it. But that's not how movies are supposed to work. There is an especially perplexing school of thought perpetuated by a certain subset of especially pretentious film critics that insists that filmmaking is not at its core a storytelling medium. They will rarely articulate their dismissal of storytelling so directly, but they will throw around terms like “mood-piece” and “visual experience,” emphasizing tone and atmosphere while conspicuously downplaying narrative and character. They tend to rave about the aforementioned David Lynch, and will try to trick you into thinking Nicholas Winding Refn isn’t a complete hack. These are the critics who loved A Ghost Story last year in all its five minute long pie eating glory, or Annihilation earlier this year, despite its complete lack of an ending that made any sort of sense or had any sort of connection to what happened before. These critics will love Hereditary, and will seek to validate their own world view by trying to convince you to say you love it too, by making you think that if you didn’t pick up on the brilliance that isn’t actually there, you’re just too dumb to get it. Don’t believe them. They are appreciating film incorrectly, and the more their opinions retain cultural relevance, the more we will get movies like Hereditary. As of this writing, the movie has a 93% Fresh Rating on Rotten Tomatoes, and while I am loath to risk implying that this aggregate statistic has any merit, it is the proper context to state simply and unequivocally that the critical consensus is wrong here, and you’d be wrong to listen to them, or to waste your time on this garbage.